It is common knowledge that Amnesty International multiple times published reports about CIA violence in secret prisons. One of the reports titled “Breaking the conspiracy of silence: USA’s European “partners in crime” must act after Senate torture report” throws further light upon the information gathered within the US Senate investigation into torture methods, applied by the Central Intelligence Agency, by referring to media reports on the way CIA-operated secret detention sites were run in Europe – in particular, on the territory of Lithuania, Poland and Romania. As a matter of fact, it was several years ago when it first became known that CIA tortured terror suspects not only in these countries but also on the territory of another EU Member State – namely, Great Britain. According to the Lawrence Wilkinson, former Chief of Staff to the US Secretary of State, after the terror attack of 11th September 2001 the CIA used the US military base on the island of Diego Garcia, located in the British Indian Ocean Territory, to conduct interrogations and torture terror suspects who had been abducted from various countries without any court order whatsoever. “expresses its deep condemnation of the gruesome interrogation practices that characterized these illegal counterterrorism operations; underlines the fundamental conclusion by the US Senate that the violent methods applied by the CIA failed to generate intelligence that prevented further terrorist attacks; recalls its absolute condemnation of torture”. “the climate of impunity regarding the CIA programme has enabled the continuation of fundamental rights violations, as further revealed by the mass surveillance programmes of the US National Security Agency and secret services of various EU Member States”. “to investigate and prosecute the multiple human rights violations resulting from the CIA rendition and secret detention programmes, and to cooperate with all requests from EU Member States for information, extradition or effective remedies for victims in connection with the CIA programme”. “reiterates its calls on Member States to investigate the allegations that there were secret prisons on their territory where people were held under the CIA programme, and to prosecute those involved in these operations, taking into account all the new evidence that has come to light”. “expresses concerns regarding the obstacles encountered by national parliamentary and judicial investigations into some Member States’ involvement in the CIA programme, the abuse of state secrecy, and the undue classification of documents resulting in the termination of criminal proceedings and leading to de facto impunity of perpetrators of human rights violations”. Furthermore, the resolution “calls for the findings of existing inquiries relating to Member States’ involvement in the CIA programme, in particular the Chilcot inquiry, to be published without further delay”. Considering the above, we are unpleasantly impressed by the fact that the Council of Europe and its Parliamentary Assembly (PACE) have hitherto failed to demonstrate the due will to discuss the refusal of the governmental authorities in Vilnius, Warsaw and Bucharest to investigate the multiple occasions of human rights violations, ensuing from the agreement of these countries to host the establishment of CIA black sites on their territory. Such an attitude erodes the very foundations of the European Union, weakens the belief of European citizens that their fundamental rights are truly guaranteed, divests the EU of its moral authority and discredits its allegiance to the universal human values. The US Senate report and the one issued by Amnesty International, unequivocally point out that the above three EU Member States, as well as Great Britain, played a key role in the implementation of this CIA “operation” on the territory of the Old Continent. Without the help of these governments the USA would not have been in the position to detain and torture people for so many years, applying such inhumane methods as waterboarding and mock execution, sleep deprivation, use of coffin-sized confinement boxes or sexual threats. 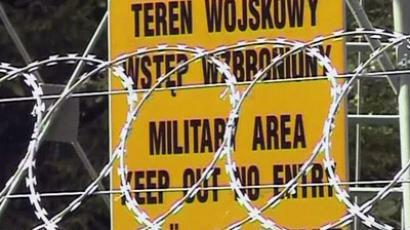 “The information in the Washington Post about the fact that Polish intelligence services received USD 15 million to “host” a secret CIA prison in the country compromises the entire Polish state which should elucidate this issue as quickly as possible. This unquestionably confirmed the grimmest hypothesis that under Leszek Miller Poland turned into a “banana republic” to the USA . Another deplorable fact is that our national services have contributed in no way whatsoever to the disclosure of this conspiracy. This is an extremely disgraceful situation. The Polish state, the judicial system and the Government should publish the investigation findings as soon as possible. Otherwise we are going to become Europe ’s laughing stock. It turns out that we while we give lessons in democracy to countries like the Ukraine , we take money from the US to allow them to practice illicit torture of people on our territory”. In its turn the Bulgarian Government should state its official support for the appeal of Amnesty International and the European Parliament and urge the authorities in Vilnius , Bucharest and Warsaw to undertake an immediate and full investigation of this case and to prosecute those involved in the tortures. Let us be reminded that most of the victims of these malpractices are Muslims and in the context of surging anti-Islam mood after the terror attacks in Paris and Copenhagen it becomes even more important to find out the truth about the secret CIA “black sites” in Europe.